I wrote my first novel when I was 12, but I pursued a very different career path until Nightmares of Caitlin Lockyer was published in 2013. I’ve just released the final book in the Nightmares Trilogy: Afterlife of Alanna Miller. The trilogy only took me twenty years to write. The whole series is about a girl (Caitlin Lockyer) who’s found dumped on a south west beach by a man named Nathan Miller. Barely alive, Caitlin’s nightmares hold the key to finding the people who hurt her…and as she recovers, it’s something of a race against time – will they hunt her down first and silence her before she can tell anyone what she knows. But, of course, there’s more to it than that. The first book is from the perspective of Nathan Miller, who’s piecing the story together, but also trying to block some of his own memories out, which leaves huge gaps in his story that he tries to cover up. The second book is from Caitlin’s perspective, and she covers up nothing – most people want to read the first book again after reading the second, because of all that Caitlin reveals. 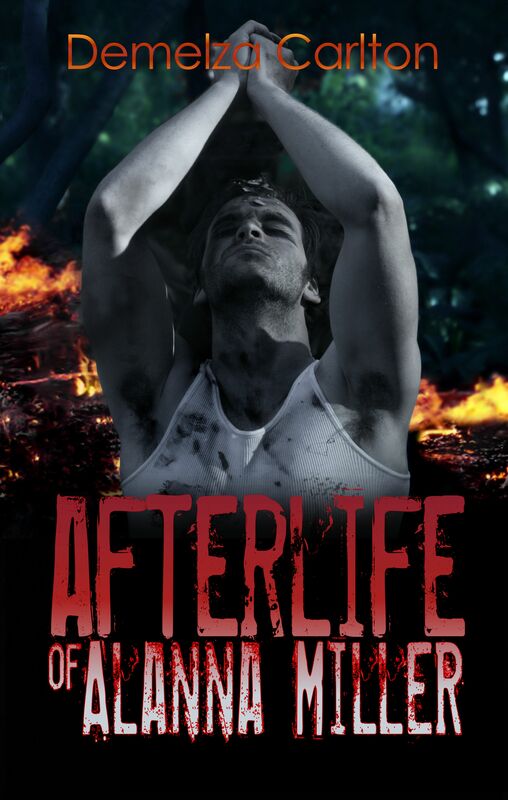 And Afterlife…well, it’s about the aftermath of the events in the first two books. Most of it takes place in Western Australia and it brings the trilogy to its turbulent close. If you’re interested in starting the Nightmares Trilogy, the first book’s available free from all retailers. The Nightmares Trilogy was inspired by my own recurring nightmares as a child, probably inspired by news reports of the Moorhouse murders and the Claremont serial killer’s crimes here in Western Australia. When I decided to ready these for publication, I did a fair bit of research into both sets of crimes, because there are some chilling similarities. I’ve just started one of Annie Seaton’s anthologies – Encounter, I think this one’s called. Antarctica. It’s the only item on the list. The weather and the wilderness, that I don’t take for granted…but I don’t want to live without. I live in the inner suburbs of Perth, yet we get heaps of native wildlife in the garden and nearby bushland. Not to mention it’s only a short drive to the ocean, where there’s whale watching in spring. What I should read next. Recommendations, please! I read almost as much as I write, and it’s always refreshing to include Aussie fiction in my reading list, because I’ll actually know where the places are! Well, after Afterlife…plenty! Some are surprises and some aren’t. There are two more books in the Mel Goes to Hell series releasing in February and March. Lucifer returns to the office in To Hell and Back…and then gets embroiled in a conflict that could turn into nuclear war. After that, both he and Mel need a bit of time off, so he decides to take her on a romantic holiday to the south west of Western Australia…but it becomes The Holiday From Hell. As for what else I have planned…hmm. More mermaid books, as I’ll finish off the Turbulence and Triumph series this year, with the Fall of Singapore and the capture of Christmas Island in 1942. I’m really excited to be part of an anthology project with Annie Seaton and some other authors this year. That should release soon. My part in it’s a coastal romance set in Perth and Fremantle in the late 1920s…called How To Catch Crabs. I have a surprise new project in the works after that…and I’ll be revealing more in the coming months. All I can reveal now is that I’ve been researching tropical island paradises for this one, and I can’t wait to go on a site visit. Ooh…and I’ll be making my first public appearance at the Readers and Writers Down Under event on the Gold Coast in March. I’m so excited to be going to my first book signing – and meeting everyone there! I sold my fifty thousandth book in 2014. I also won my first award for a book – See You in Hell, from my Mel Goes to Hell series, was named Author’s Cave’s Best Contemporary/Urban Fiction book of 2014. I wrote nine books in 2014 and published six of them. And I intend to top all of that in 2015!